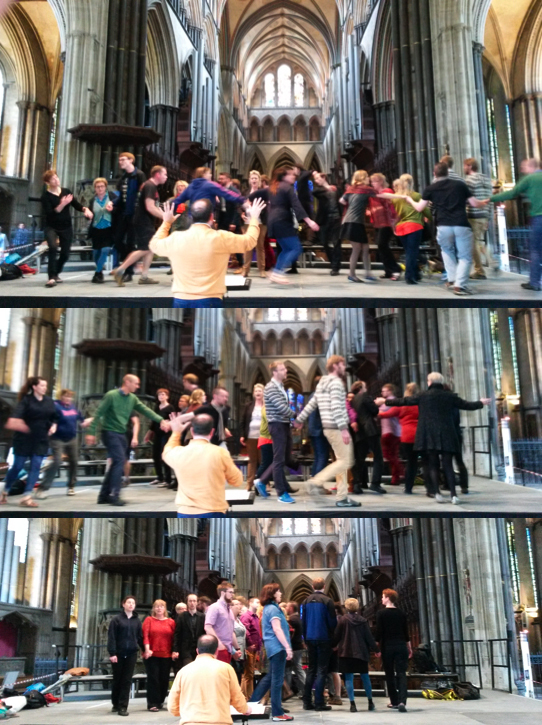 Here are a few images of the South Iceland Chamber Choir rehearsing in Salisbury Cathedral prior to Monday evening’s concert. This concert marked the very first time the movement score of ‘Islands (Ynysoedd)’ had been enacted in a UK venue. Posted on 04/06/2014, in General and tagged Hilmar Örn Agnarsson, Jack White, Salisbury International Arts Festival, SICC. Bookmark the permalink. Leave a comment.